1. 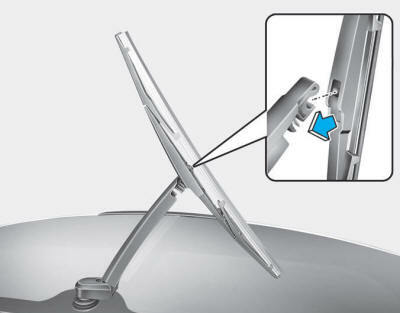 Raise the wiper arm and slightly rotate the wiper blade assembly to expose the plastic locking clip. 2. 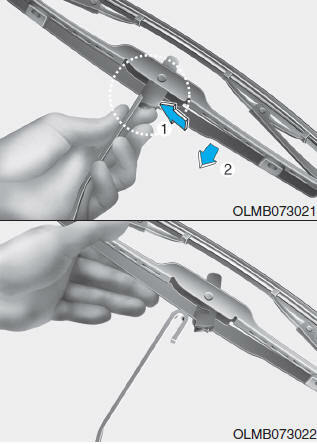 Press the clip (1) and slide the blade assembly downward (2). 2. 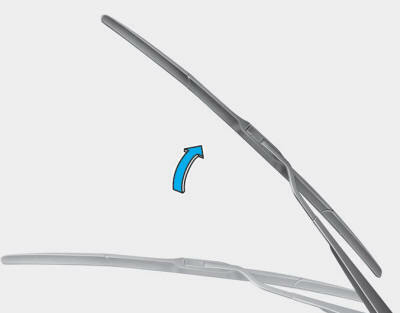 Lift up the wiper blade clip (1). 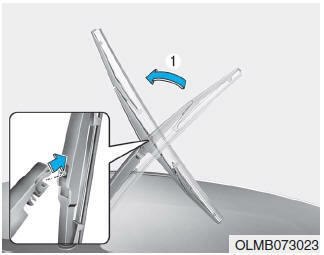 Then pull down the blade assembly (2) and remove it. 2. 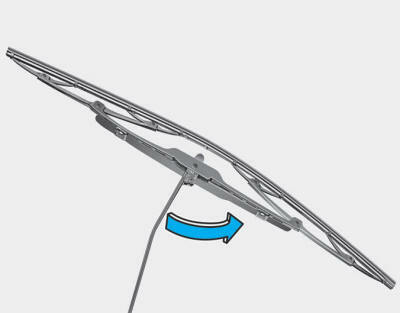 Slightly rotate the wiper blade (1) assembly and pull it out. 4. 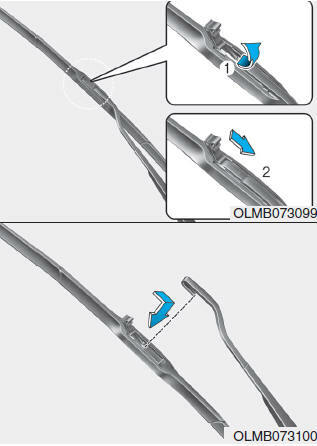 Make sure the blade assembly is installed firmly by trying to pull it slightly.